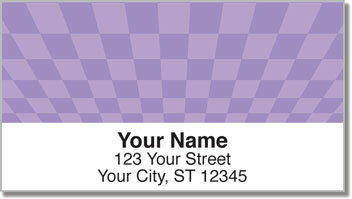 The traditional checkerboard gets a colorful makeover and some eye-popping perspective with these unique address labels. Whether you are a fan of chess and checkers, or just appreciate the simple style of this popular pattern, these labels make an excellent finishing touch for every envelope. But good-looking letters and packages are far from the only thing you'll get when you choose this product. The often annoying chore of preparing outgoing mail will become extremely easy. It's all thanks to a convenient self-adhesive backing, which lets you mark your mail in a snap! That means you save time and headaches. 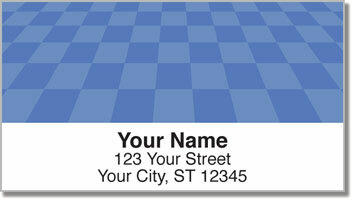 Order your own Checkerboard Pattern Address Labels today! 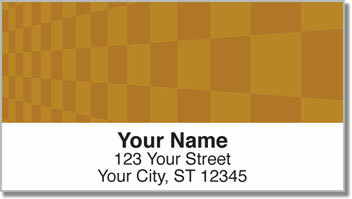 We also offer a matching personal check design.